Beautiful Shereen, London based Skincare and Korean beauty addict, tested it out and shared her thoughts about this amazing hydrogel sheet mask. 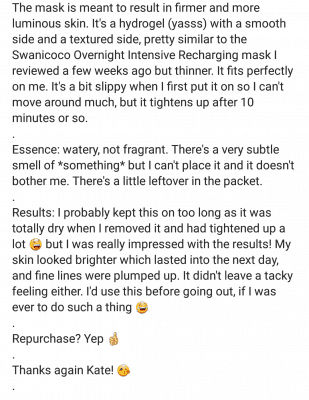 We do appreciate her opinion very much! 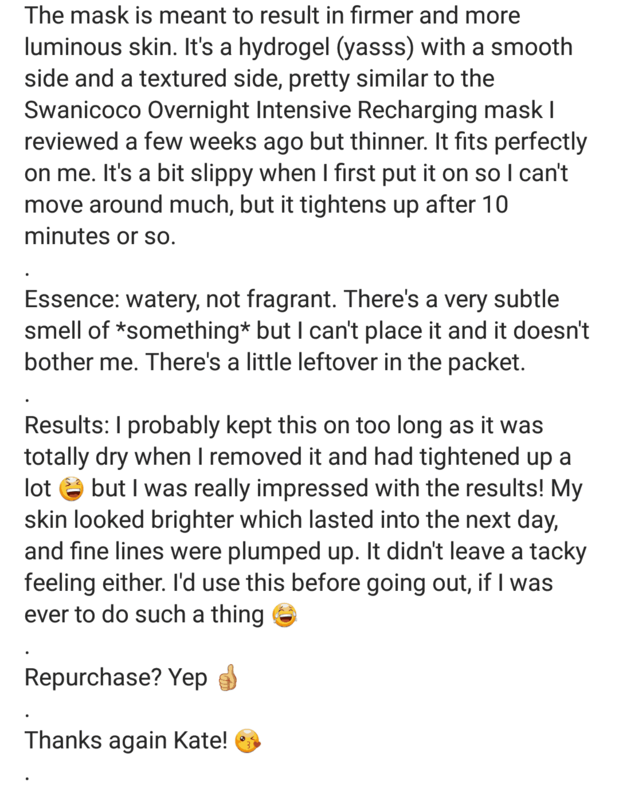 And, yasss, she has beautiful pictures and very helpful product reviews on her account. 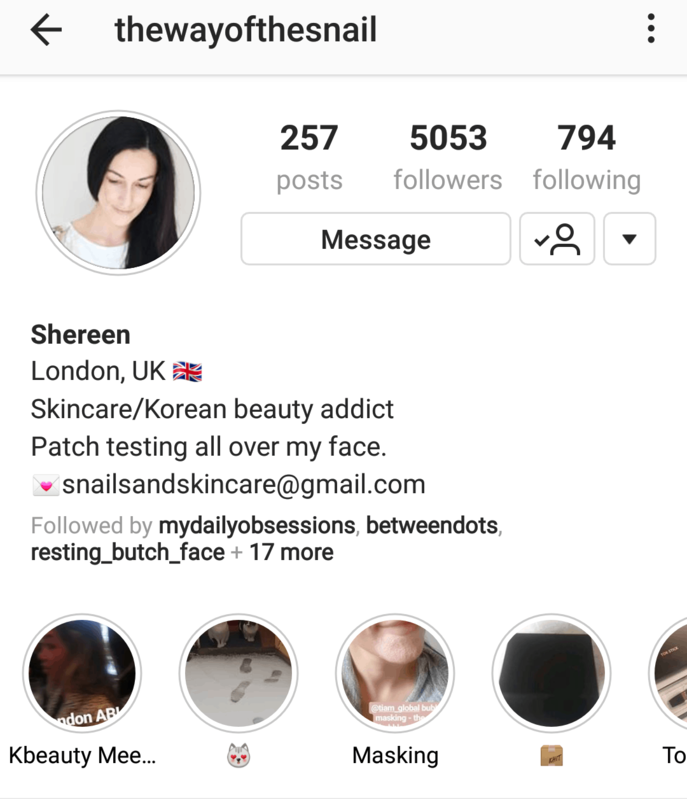 Go and read more on @thewayofsnail Instagram feed. 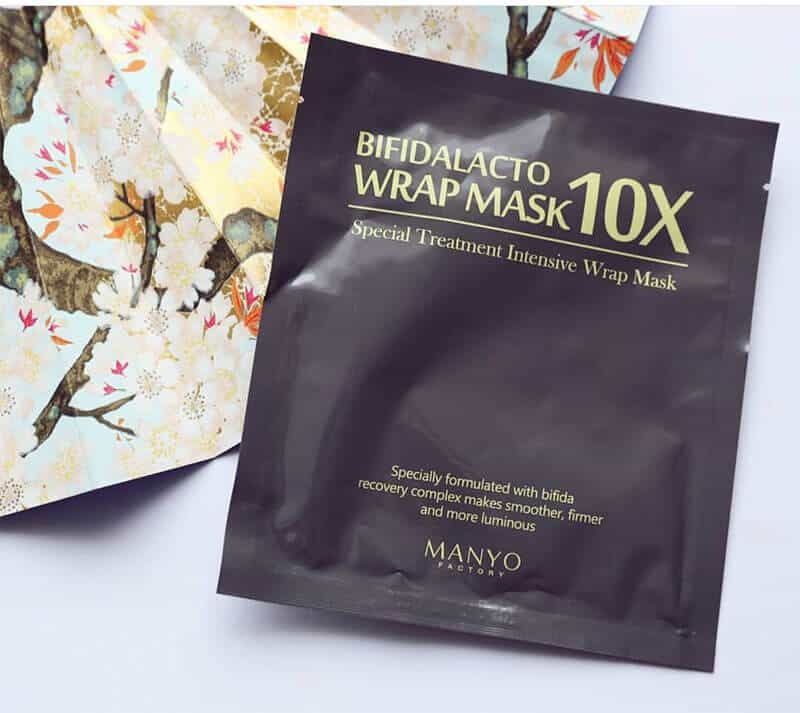 Manyo Factory’s Bifidalacto Wrap Mask is an amazing beauty tool which helps to restore skin elasticity, firms your skin and fights aging of your face. 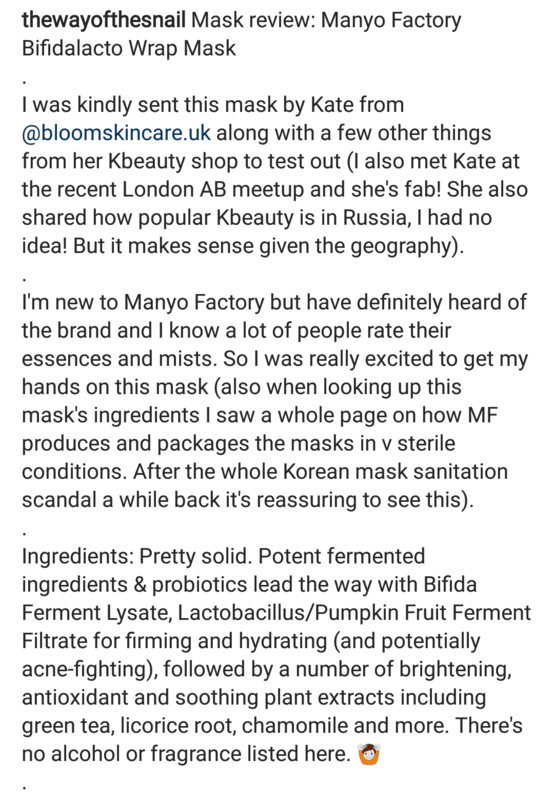 It contains probiotics, pumpkin seed and algae extracts which make skin look more smooth and radiant. 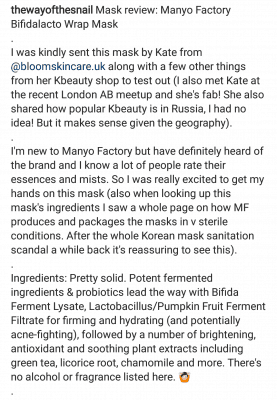 This entry was posted in MEDIA and tagged bifidalacto wrap mask, bloggers, instagram, k-beauty instagram, korean skin care blogger, london skincare blogger, manyo factory, sheet mask review, skincare instagram.